The bulbs, leaves and flowers are astringent and powerfully emetic. The bulb, especially, is narcotic and depresses the nervous system. It has been used in the treatment of hysterical affections and even epilepsy with some effect. The bulb is harvested in the winter and dried for later use. 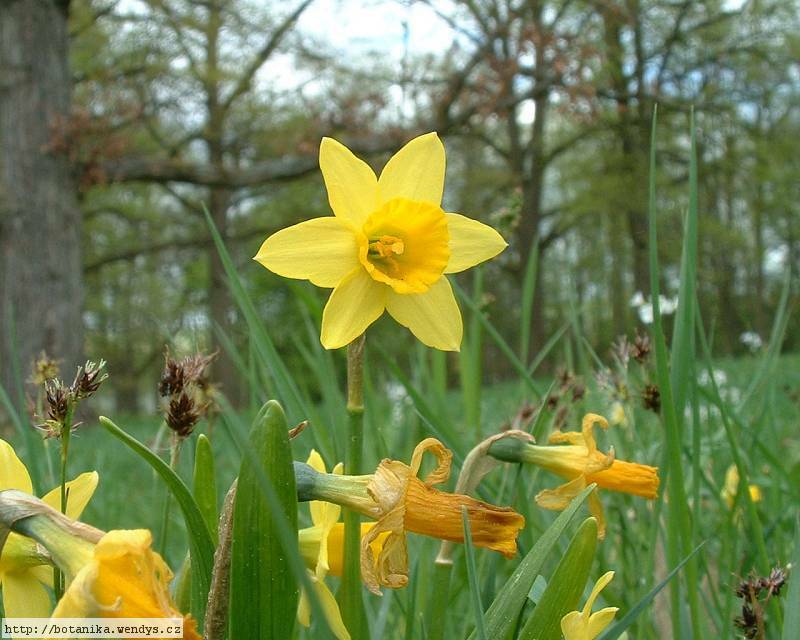 The flowers are harvested in dry weather when they are fully open and should be dried quickly. They are less powerful than the bulbs but are also considered to be antispasmodic and are useful in relieving the congestive bronchial catarrh of children and also useful in cases of epidemic dysentery. A yellow to gold dye is obtained from the flowers. Seed - best sown as soon as it is ripe in a cold frame. A short stratification will improve the germination of stored seed. Sow the seed thinly so that the seedlings can be left undisturbed in the pot for their first two years of growth. Give them an occasional liquid feed in the growing season to ensure they do not become nutrient deficient. When the plants become dormant in the summer, pot up the small bulbs placing 2 - 3 bulbs in each pot. Grow them on for another one or two years in the greenhouse before planting them out when they are dormant in late summer. Division of bulbs after the leaves die down in early summer. Larger bulbs can be replanted immediately into their permanent positions, or can be stored in a cool place and then be planted out in the autumn. It is best to pot up the smaller bulbs and grow them on for a year before planting them out when dormant in the autumn. 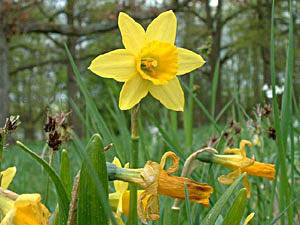 All parts of the plant are poisonous, the toxins being found mainly in the bulb, but even the flowers are mildly toxic. An extract of the bulb, when applied to open wounds, has caused staggering, numbness of the whole nervous system and paralysis of the heart.